We are proud to introduce our new Seniors for Seniors adoption program! 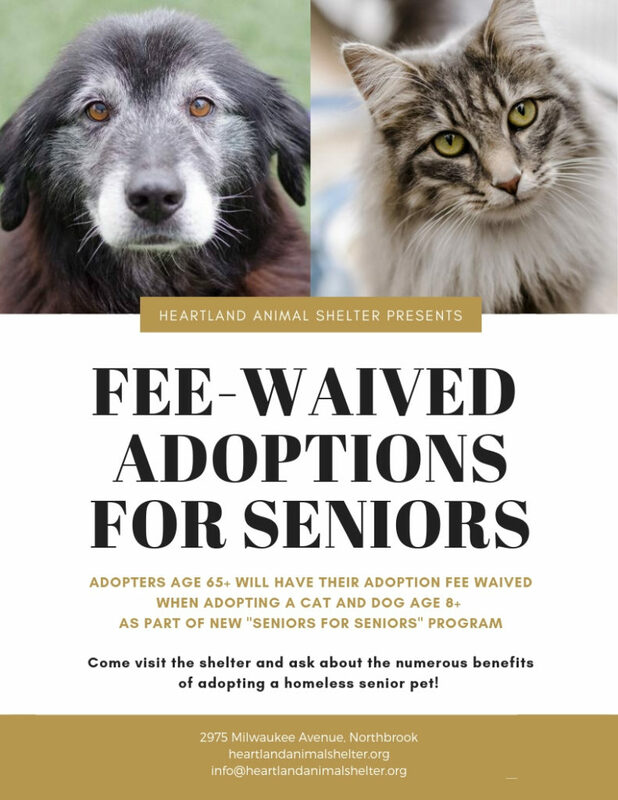 Thanks to a generous grant from the Petfinder Foundation, adopters age 65 and over will now have their adoptions fees waived when adopting a senior cat or dog! We love senior animals and know you do too. We will post some of our adoptable cats and dogs who are eligible for our Seniors for Seniors program on our Facebook, Instagram and Twitter pages. All of our adoptable animals are also available on our website: heartlandanimalshelter.org or you can visit us during our open hours to meet them!